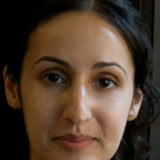 Mariam Ghani is an artist, writer, and filmmaker. Her work looks at places and moments where social, political, and cultural structures take on visible forms. Long-term collaborations include the experimental archive Index of the Disappeared, with Chitra Ganesh, and the video series Performed Places, with choreographer Erin Kelly and composer Qasim Naqvi. Solo exhibitions include the Queens Museum of Art, the Saint Louis Art Museum, the Indianapolis Museum of Art, the Rogaland Kunstsenter, and the Gatchina Museum. Notable group exhibitions and screenings include the Rotterdam Film Festival, the Liverpool Biennial, the Sharjah Biennial, the Dhaka Art Summit, dOCUMENTA 13, the National Gallery in DC, the Secession in Vienna, the CCCB in Barcelona, and the Met Breuer, MoMA and Guggenheim in New York. Recent texts have been published in Frieze, Ibraaz, Triple Canopy, and the anthologies Critical Writing Ensembles, Dissonant Archives, Utopian Pulse, and Social Medium: Artists Writing 2000-2015. Ghani holds a B.A. in Comparative Literature from NYU and an MFA from the School of Visual Arts, and has received a number of awards, grants and fellowships, most recently from Creative Capital and the Center for Constitutional Rights. She teaches at Bennington College. 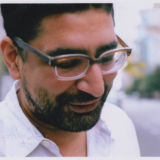 Sukhdev Sandhu was the Founding Director of the Center for Experimental Humanities at New York University where, since 2007, he has also directed the Colloquium for Unpopular Culture. His books include London Calling, I’ll Get My Coat, Night Haunts and Other Musics. He runs the Texte und Tӧne imprint. 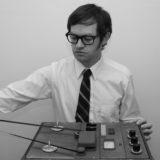 David Mason composes music under the name of Listening Center, and has released music with Ghost Box, Polytechnic Youth and a Year in the Country. He works primarily with analogue synthesis and magnetic media, and was a participating artist in Queens International 2018.